Color is power as Jupiter moves into Sagittarius, guiding you toward luck, success, and positivity through 2019. With that, we’ve got your color horoscope to get you there. On November 8th Jupiter entered Sagittarius for a 13-month cycle, gifting you an abundance of knowledge and experience. Color gives you the confidence to stride ahead in jubilant optimism with the stars primed to deliver—if you’re open to the possibilities. It's time to take stock and look forward to the potential before you as Jupiter promises growth for all in the New Year. Regardless of your zodiac sign, there’ll be opportunities to gain a broader perspective in the coming year and explore new horizons. With your colorscope as your guide, you’ll be ready to start 2019 with a bang! Aries is the trailblazer of the zodiac, impulsive, brave and daring. As a fire sign, you’re one of the celestial favorites in the 13 months ahead. Firey shades fuel your drive while Jupiter reveals your strengths, personally and professionally. January gives you the tools you need to succeed, serving you through spring. Though progress may slow in April, by the end of May you’ll be strongly positioned with clear direction. But keep up the hard work when it all pays off and you can make your mark at the end of 2019. So what do you want and how can you get it, ram? Though it’s an adventurous start to the year, a professional and streamlined look with fresh hair color and wardrobe will keep you grounded. Vibrant reds, amber tones, and brilliant coppers inspire your fighting spirit to think big; warmer tones are chic for the goal-oriented and focused gal. Rams don’t mess around. Taurus is a realist, rooted in the material realm with your keen sense of self and excellent taste. The year ahead gives you plenty of opportunities to develop and grow, but before you fix your target, take a step back. Come January, you’ll want to reevaluate your resources and shake off the excess. To ground yourself, lean toward a neutral color palette that incorporates shades of lavish chestnut, tan, and caramel. Pair these lucky colors with your signature emerald and pink for an approachable look with just a pop of color. In the year ahead, you’ll cultivate a more grounded personal philosophy to serve your goals best and fuel your relationships. Remember to enjoy the journey and embrace those that help you achieve your goals as a team. It’s your friendships that are the key to your success, now, and in the future. Full steam ahead, bull! Gemini owns the sharp and sparkling wit of the Zodiac with your talent for communication and keeping your finger on the pulse! Jupiter brims with possibility as you share your infectious personality (and philosophy) with others. It’s the perfect time to find some balance in your life starting with your style and color palette. To demonstrate your natural bubbly effervescence, you’ll want to embrace uplifting tones like vibrant champagne to keep you shimmering brightly. Your lucky colors are on the lighter end of the spectrum: think pale lemon, fresh mint, soft lime, and icy white. You’ll be making some hefty commitments in 2019, so consider where you’re directing your energy. At the same time, you’ll make some game-changing realizations this year. And though you’ve got a ton going on (it’s your nature), stick it out and use your time wisely. Stay focused at work in March, July, and November, but you’ll be celebrating in September. You’re a social ninja, and your social circles are where you shine brightest—it’s your superpower, Gemini. Cancer is the supportive, nurturing caretaker, who reads people and environments with utmost sensitivity. This year is a super busy one for you, crab, but you’re ready with a productivity boost and a drive to improve your habits as you live a healthier lifestyle. Ruled by the enigmatic glow of the moon, your lucky shades are those that complement your naturally luminous personality: think reflective pearl tones in hair color and a cream and white wardrobe. Try adding in darker tones that show off your radiance and invite others to take you seriously. For a dash of color, top off your look with a peachy-pink lipstick. As you explore positive living, scheduling is key to reduce stress and improve your wellbeing. There’ll be plenty of opportunities to assert boundaries as more of the spotlight lands on you, but you’ve got this! May and June call for focus, and you re-emerge in July with a greater sense of purpose and resolve. This is the year to get your message across and secure your happiness. Firey Leo is perhaps the most passionate sign, driven by your abundant enthusiasm. An exciting year lies ahead for you as royalty of the zodiac, and yet, you’ll learn your limits when it comes to how much you’re taking on. 2019 is a year of transformation for you, so be ready to find a balance between productivity and healing. Maybe it’s time for a little vacation with all that sparkle. Jupiter enters your playful zone making this the time to enjoy yourself with energetic pursuits and passion projects. Spend some time with your family and friends to bolster your creative side. Having fun with your look highlights this innate creativity, as the planet of expansion encourages you to let your hair down. Reflect your sunny disposition by adding in golden and copper tones, and uplifting marigolds, or maybe some highlights with Light Set—remember, you’re a lion! Try something new and dress to impress. Virgo is the perfectionist of the zodiac, with your critical eye and knack for attention to the detail. Your home and private life benefit from Jupiter’s tour of fire sign Sagittarius, with an emphasis on peace and comfort. This may be a good time to move, so you can settle down and fully enjoy your space. By the New Year, you’ll be in a position to take pleasure in your surroundings. Now is the time to spice up your look with warm, smoldering tones, and a deep hazelnut hair color to set against your usual palette of fresh creamy tans and whites. Tuning into a darker palette of smokey shades adds depth to your aesthetic, allowing you to explore your creative and passionate side. It’s time to strike a balance between meeting the needs of those around you and your own interests. This is the year of quiet reflection and personal growth. Libra is the natural mediator of the zodiac, with your talent for playing peacemaker among family and friends. Jupiter introduces a gorgeous cycle of growth in your self-expression and the way you relate to others. Any time spent brushing up on your writing and communication skills will be put to good use come 2019. With positivity in the air, you’ll want to find a close-knit circle of friends with similar interests for support. Try going for an approachable look with notes of warm, comforting butterscotch, and friendly, coral pinks that showcase your softer side. These feminine shades blend naturally with a pastel wardrobe and that creamy blonde or light brunette hair color you’ve been eyeing. Your focus in the New Year shifts in a tug-of-war between your personal and public role, with your reputation hanging in the balance. The decision is up to you and how you want to be seen, Libra. We believe in you! Scorpio is the deep and powerful influencer of the zodiac, skilled at transforming your look and lifestyle. Jupiter spotlights your purpose, giving you a blossoming sense of confidence. Mars radiates abundance (lucky you!) making you aware of your growth potential. So stay calm, steady, and self-assured with a sleek signature look. A darker palette of crimson, deepest berry, and merlots play into your style for a touch of mystery. Try bold nail shades that draw attention to your commanding hands during a big presentation. You’ve had to make some pretty big shifts last year, but you learned a few things too. With a new path and purpose fleshed out, those risks you took are finally paying off. 2019 is a busy year for you, so draw on your experiences and get involved in the community. You can look forward to new beginnings in early May, while summer directs your focus to broaden your horizons. Step back to recharge in October, and you’ll be back at your best in late November. The world is your oyster, Scorpio. 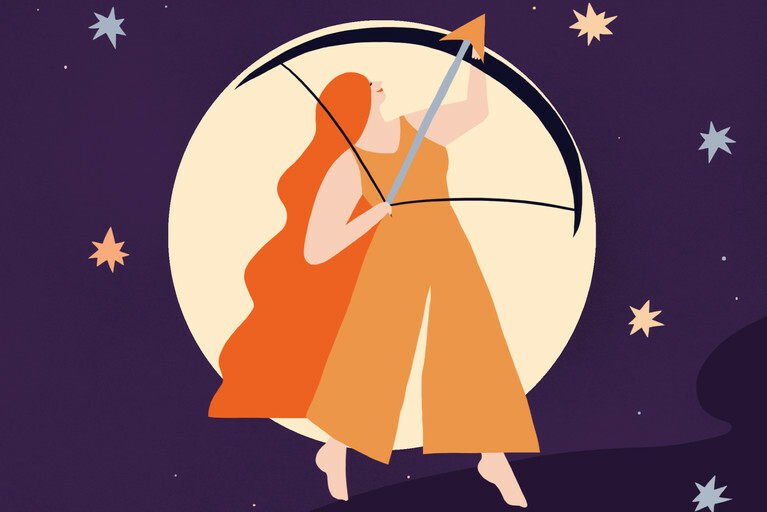 Sagittarius is the optimist of the zodiac, always confident your efforts will pay off—if not, you’re sure to have fun on the way! It’s your year, where you embrace a sense of adventure with confidence, purpose, and enthusiasm. Get ready for a special project in the New Year, as opportunity lays at your feet, Sag. You’ll blossom in a vibrant palette, as lucky strawberry blush shades fuel your success. Your fun sense of style guides you to jewel tones and vibrant hair colors to match. It’s your year to stand out with a few key pieces, including a bold red shoe and your signature denim. 2019 is a positive catalyst for change when it comes to your time, energy, and resources. You’ll get much more than you bargain for when you team up and trust in your circle of friends and family. Though progress naturally slows in mid-April, this is your time to reflect and grow. Stay with it as you gain momentum in August through November with a new-found appreciation for all that you’ve accomplished. Capricorn is the ambitious, serious high-achiever of the zodiac, steadily climbing the ladder straight to the top! It’s your time to heal this year, literally and figuratively—go easy Cappy, and embrace it. It’s likely to be a smooth ride for you since you’ve already laid the groundwork. Your signature palette of charcoal grays, midnight blues, and smokey shades will help you welcome transitions with grace. And don’t underestimate the power of a stormy espresso hair color, making it easy to take a big step back and let things run their course. January brings attention your way, with a new moon in your sign emphasizing your responsible side. Your progress may slow down a bit in the summer, giving you time to work on relationships and slip in some quiet self-reflection. Despite a heightened mood, September to mid-October is the time you’re truly able to embrace the exciting shifts coming your way. Look forward to a new adventure in December 2019, when Jupiter and all its prosperity enters Capricorn, and your luck truly begins. Aquarius is the activist of the zodiac with your progressive views and choices, making you stand out from the pack. Jupiter expands and emphasizes your circle of friends, bringing you luck, growth, and opportunity in 2019. You’re likely to see changes at work, in your health and wellbeing, your habits, and daily routine for the better. Meanwhile, there’s momentum building behind the scenes at home. This is a year of self-care for you, so take the time to ask yourself what you need to thrive, Aquarius. Welcome the shift with a foundation of dark shades, with classic and vintage styles. Understated hazels, rich chocolates, and auburn tones revive your look as you draw energy from your environment and keep the focus on your actions. Accenting your wardrobe with silver hoops, and pops of blue work wonders to boost your confidence. While March tests your sense of security in spring, don’t let it mess with your game. Summer is a busy season for you, as attention lands on your thriving schedule, but it’s important to take some time and reconnect with friends in August. Keep up the hard work, dance to the beat of your own drum, and you’re sure to make an impact. Pisces is the enigma of all the zodiac signs, with your highly glamorous allure. Your public profile gets a boost when lucky Jupiter favors you in November. Now’s the time to rethink your overarching goals and aspirations, as you start 2019 on fire. 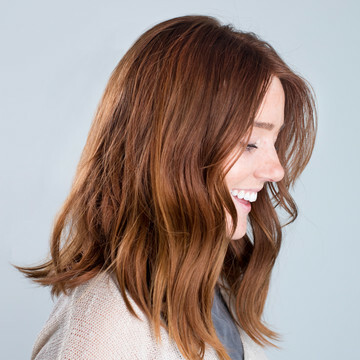 You can adopt any style as the trendsetter, so consider a heavy fringe and vibrant hair color with warm auburn tones. You’ll want to show you’re making waves and turning heads with hints of lavender, sea foam, silver and gray shades for luck. Spring opens you up to fun and exciting opportunities, forcing you to make some decisions. It’s your co-workers and a close-knit circle of friends who play a significant role in your life, so a decision that benefits the group is what’s needed in June and July. But don’t worry, you’ll be back in the limelight come September to focus on your passions. Now that you know where you're going, nothing can stop you. With your lucky colors and Jupiter on its way, you’re off to a fabulous start for 2019. To get ahead of the New Year now’s the time to lock in your power shade of custom hair color. Need some help? Reference this post when you chat with one of our colorists so we can mix a hue that’s unique to you for a boost of confidence that’ll last all year long. 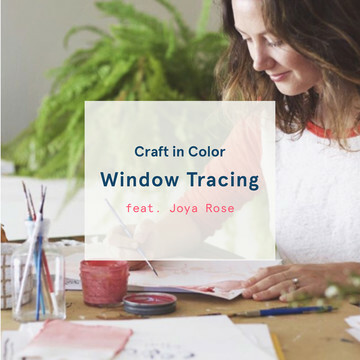 And connect with us on Facebook and Instagram for more fun color-centric tips.